If I’m Tired, Why Can’t I Fall Asleep? | Do I Have Insomnia? Toss, turn, yawn, stretch, shift, toss some more – but you just can’t get to sleep. When you prepared for bedtime, you were so tired you thought you might fall asleep brushing your teeth. But the clock face flashes 1 o’clock in the morning and you’re still not asleep. If this is a regular problem, you may have insomnia. 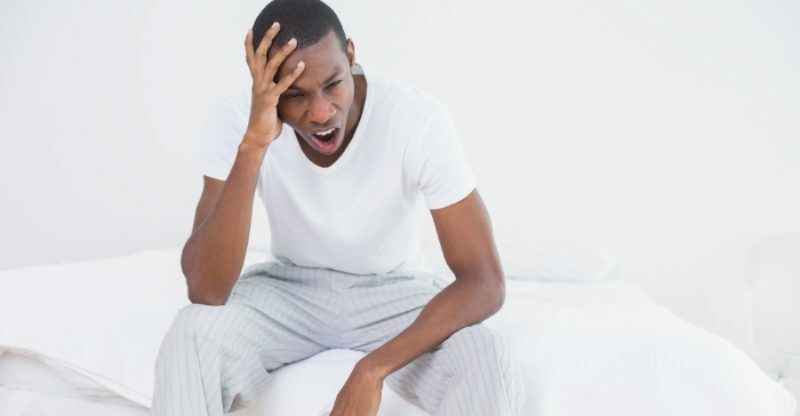 Your sleep problems may be related to other medical conditions. Breathing problems, back or leg pain, acid reflux and indigestion can disturb the body in ways that make sleep difficult no matter how tired you are. Emotional problems can also mess with your sleep. If you’re feeling depressed, anxious or having obsessive thoughts, your mind just doesn’t shut down enough to allow sleep. If you experience a major loss, during the grieving period, sleep can be complicated. Lifestyle changes can also cause sleep interruptions. Starting a new job with different hours that you are use can take time to adjust your sleep cycle. Staying up late while watching television or surfing the Internet doesn’t give your body enough time to wind down from the day for effective sleep. Constant stress at work or school that you just can’t let go of will definitely make a good night’s sleep elusive. Trying to drown your frustrations in alcohol, caffeine, or through smoking will only lead to more sleeping problems. Reset your body clock by getting on a reasonable schedule. Don’t try to exhaust yourself with exercise, work or activity as a way to fall asleep. You already know that doesn’t work. Write down a schedule that allows an hour to prepare for sleep. Take a warm shower, turn off the TV and electronic communications and turn on some calming music (an instrumental CD, not the radio). Stretch and slide into bed at the time scheduled. Don’t focus on going to sleep, think about relaxation. Visualize a pleasant, satisfying, relaxing place and see yourself in that place. Gradually turn down the lights. This gives your body time to wind down better than going from fully lit room and computer screen to dark room. As you are resetting the sleep cycle and find yourself getting tired too early, increase your light exposure. Go outdoors in the sunshine or turn up the light in the room. The body responds to light and dark cues for sleep. Stop any work or stressful activity at least three hours before bedtime. Let go the frustrations and allow your mind to focus on less intense things. When insomnia can’t be managed by other means or interferes too much with normal activities, you may need to get prescription medication. Be Careful when Taking Sleeping Pills! Whatever you do, don’t self medicate with over-the-counter sleep aids at night and wake-up pills during the day. That can make the problem worse. Don’t take any sleep medications unless monitored by a physician. You want to cure insomnia, not develop a drug problem.